Bacoor, officially the City of Bacoor (Filipino: Lungsod ng Bacoor), is a first-class urban component city in the province of Cavite, Philippines. It is a lone congressional district of Cavite and is the province's gateway to Metro Manila. According to the 2015 census, it has a population of 600,609 people. During the Philippine Revolution against Spain in 1896, Bacoor was one of the first towns in Cavite to rise up. A Katipunan chapter, codenamed Gargano, led by Gil Ignacio from barrio Banalo, started the hostilities in Bacoor on 2 September 1896, three days after the revolution began. On 17 February 1897, General Emilio Aguinaldo's 40,000-strong force confronted a 20,000-strong Spanish reinforcement at the Zapote River. The Katipuneros reinforced the southern bank of the river with trenches designed by Filipino engineer Edilberto Evangelista. They also blew up the Zapote Bridge with explosives which killed several Spaniards crossing it and thereby preventing them from reaching Cavite and forcing them to retreat to Muntinlupa. Despite the Filipino victory, they lost the brilliant Evangelista who was killed in action. However, after the Spanish counteroffensive in May 1897, Bacoor and the rest of Cavite finally fell to the Spaniards, forcing Aguinaldo and his men to retreat to Biak-na-Bato. With the Philippine declaration of independence from Spain on 12 June 1898, hostilities reignited in Cavite and Bacoor was designated as the first capital of Emilio Aguinaldo's revolutionary government until it was transferred to Malolos, Bulacan in August 1898, a month before the convening of the Malolos Congress. The Zapote Bridge became the site once again of another battle on 13 June 1899, this time between Philippine and American troops. An American force of 1,200 men supported by naval gunfire from the American squadron in Manila Bay crushed a 5,000-strong Filipino force led by General Pío del Pilar. Zapote Bridge's special place in Philippine history is depicted today in Bacoor's city seal. During World War II, in 1942, Japanese occupation forces entered Bacoor and other towns of Cavite province. From May 7, 1942 to August 15, 1945, many Caviteños joined the Cavite Guerrilla Unit (CGU), a recognized guerrilla group headed by Colonel Mariano Castañeda. This group would eventually become the Filipino-American Cavite Guerrilla Forces (FACGF). Colonel Francisco Guerrero and the FACGF's 2nd Infantry Regiment was put in charge of Japanese resistance in Bacoor. The FAGCF, together with Filipino soldiers under the 41st, 4th, and 42nd Infantry Division of the Philippine Commonwealth Army liberated and recaptured Bacoor and 4th Infantry Regiment of the Philippine Constabulary was defeated the Japanese Imperial Army forces from January 1, to August 15, 1945, during the Allied liberation of the Philippines. On 25 July 2011, President Benigno Simeon Aquino III signed into law Republic Act No. 10160 creating the City of Bacoor. It was ratified through a plebiscite on 23 June 2012, wherein 36, 226 of the town's 40,080 registered voters voted in favor of cityhood while those against were 3,854. With the incorporation of Bacoor as a city, it was divided into two legislative districts, Bacoor West and Bacoor East. During the 2013 mid-term elections, the citizens of Bacoor voted for six councilors for each districts forming a 12-person city council. 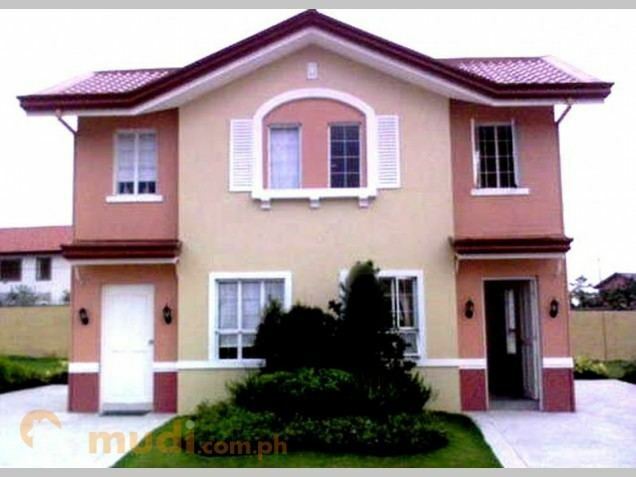 Bacoor is strategically located at the gateway to Metro Manila. A sub-urban area, the city is located 15 kilometres (9.3 mi) southwest of Manila, on the southeastern shore of Manila Bay, at the northwest portion of the province with an area of 52.4 square kilometers. 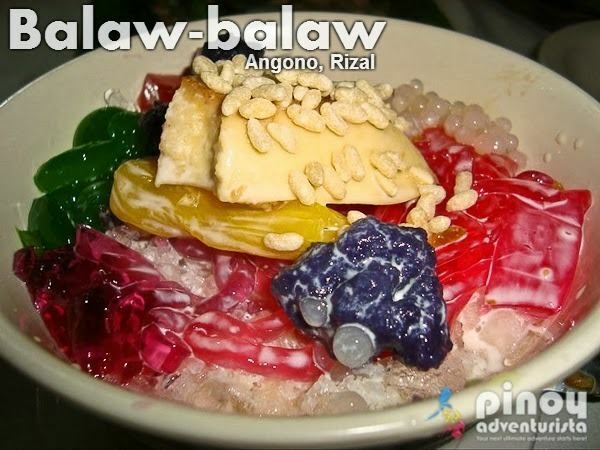 It is bordered to the east by Las Piñas and Muntinlupa, to the south by Dasmariñas, to the west by Kawit and Imus, and to the north by Bacoor Bay an inlet of Manila Bay. Bacoor is separated from Las Piñas by the Zapote River and from Imus and Kawit by Bacoor River. Bacoor City is politically subdivided into 73 barangays grouped into two legislative districts namely, Bacoor West and Bacoor East, which are represented in the city council by their respective councilors. Under the Köppen climate classification system, Bacoor features a tropical savanna climate that borders on a tropical monsoon climate (Köppen climate classification Aw/Am). Together with the rest of the Philippines, Bacoor lies entirely within the tropics. Its proximity to the equator means that the temperature range is very small, rarely going lower than 20 °C (68 °F) and going higher than 38 °C (100 °F) . However, humidity levels are usually very high which makes it feel much warmer. It has a distinct dry season from late December through April, and a relatively lengthy wet season that covers the remaining period. Southwest monsoon or Habagat can occur from June to September and can cause flooding in parts of the city. In the 2015 census, the population of Bacoor, was 600,609 people, with a density of 13,000 inhabitants per square kilometre or 34,000 inhabitants per square mile. It is the second most populous city in the province after Dasmariñas. The city is a bedroom community of Metro Manila which owes its large population to the influx of low and middle-income settlers who availed of the various housing projects and subdivisions in it. Roman Catholicism is the dominant religion in Bacoor. It is part of the Diocese of Imus and is the seat of the Vicariate of St. Michael the Archangel and the Vicariate of Sto. Niño de Molino. One of Bacoor's notable parish priests was Fr. Mariano Gómez, one of the GOMBURZA trio implicated in the Cavite Mutiny who served as parish priest at the Bacoor parish church from 1824 to his death in 1872. During the Philippine Revolution, many of Bacoor's inhabitants became members of the Philippine Independent Church, also known as the Aglipayan Church, the religious arm of General Emilio Aguinaldo's government. 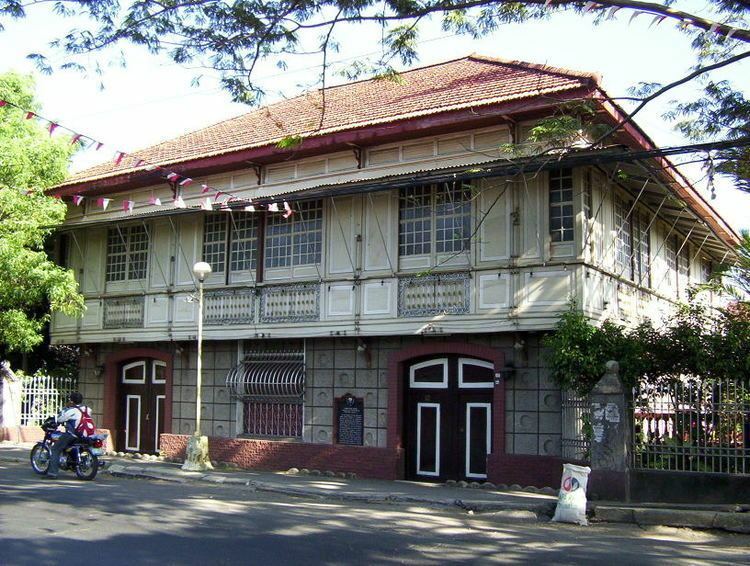 The Aglipayan Church has a long and colorful history in the city. It is one of the first places in the Philippines to join the new movement, and the Catholic priest at that time, Fr. Fortunato Clemena, became the first Aglipayan priest of Bacoor, as well as the first Aglipayan Bishop of Cavite, during the Aglipayan Schism period. Most of the first members of the church in Bacoor were Katipuneros headed by General Mariano Noriel, who is also the first president of the laymen organization. Most of the original inhabitants of Bacoor are Aglipayans. The strong presence of the Aglipayan church is evident through the erection of the Aglipayan Diocese of Cavite's Cathedral in Bgy. Digman, which was also dedicated to St. Michael the Archangel, a few blocks away from the town's Catholic church. It's the second dominant religion in Bacoor. 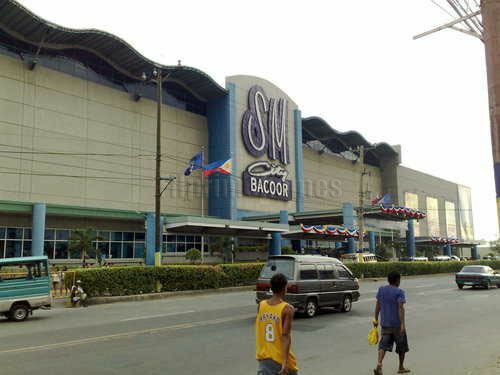 Bacoor also has a significant population of Muslims, mostly middle-class Maranao traders and merchants. A number of Protestant and other Christian denominations also have a presence in the city. Meanwhile, agricultural area has lessened to only 100 hectares while fishponds which likewise decreased to almost half of the original 760 hectares. Salt production, fishing, oyster and mussel culture, which are now being threatened to near extinction because of pollution and overpopulation, are the other sources of income of the residents. These industries are also threatened by the construction of the Cavite Coastal Road Extension which directly affected the Bacoor shoreline. Land use developments in Bacoor include a proposed industrial village in Barangay Niog which will include light cottage industries with supporting residential and commercial facilities. A vast tract of land in Molino area, on the other hand, is envisioned to host residential, institutional and commercial facilities. Dubbed as the New Bacoor, the land use plan in Molino seeks to utilize the area not only as a dormitory for individuals who work in Metro Manila but also for people who have migrated to Bacoor in search of economic advancement. The current seal of the City of Bacoor was adopted in 2012 after its conversion to city. It bears resemblance to the previous seal when Bacoor was still a municipality, but with additional symbols that reflect the city's character and recent developments. It is composed of a circular ribbon with the phrases Lungsod ng Bacoor (City of Bacoor) and Lalawigan ng Cavite (Province of Cavite) on the top and bottom portion of the ribbon. The ribbon symbolizes the continuity of Bacoor's time-honored traditions despite its conversion to a city. On the foreground is the Zapote Bridge, which was the site of two major battles during the Philippine Revolution against Spain and the Filipino-American War. The bridge features 73 bricks symbolizing the 73 barangays that make up to city. Written on the bridge is 1671, the year the city was founded. Underneath the bridge is a body of water symbolizing Zapote River, which passes through the city. Floating over it is a mussel shell, a seafood cultivated in the city and symbolizes its two new districts, Bacoor West and Bacoor East. On top of the bridge is an 11-member marching band, symbolizing the 11 marching bands that are found in the city. Serving as background to the bridge are (on the left) a bamboo tree, from which the city's name was taken and describes the resilient nature of its people; and (on the right) buildings, which symbolizes the city's progress. Between these two symbols is the Philippine sun with its eight rays, signifying the city's role in the province during the revolution against Spain. Above the sun is 2012, the year Bacoor was converted into a city of Cavite. Behind these symbols are the colors of the Philippine flag: red, which symbolizes courage; white, symbolizing peace; and blue, which symbolizes the people of Bacoor's calmness, serenity and commitment to protecting the environment. Pursuant to Chapter II, Title II, Book III of Republic Act No. 7160 or the Local Government Code of 1991, the city government is to be composed of a mayor (alkalde), a vice mayor (bise alkalde) and members (kagawad) of the legislative branch Sangguniang Panlungsod alongside a secretary to the said legislature, all of which are elected to a three-year term and are eligible to run for three consecutive terms. As with every Philippine city, Bacoor's chief executive is the city mayor. Elected to a term of three years and limited to three consecutive terms, he or she appoints the directors of each city department, which include the office of administration, engineering office, information office, legal office, and treasury office. The incumbent mayor of Bacoor is Lani Mercado-Revilla, from the Lakas Party, who first served as the city's lone representative in the Philippine House of Representatives from 2010 to 2016. She is the wife or former Senator Ramon Revilla, Jr.. The city's vice mayor performs duties as acting governor in the absence of the mayor. He or she also automatically succeeds as mayor upon the death of the incumbent. He or she also convenes the Sangguniang Panlungsod, the city's legislative body. The incumbent vice mayor of Bacoor is Catherine Sarino-Evaristo from the Lakas Party. She first assumed office on 30 June 2013 after defeating former vice mayor Rosette Miranda-Fernando. She ran and was elected for a second term in 2016. The city, which is a lone congressional district, is represented in the Philippine House of Representatives by congressman Strike Revilla from the Lakas Party, brother-in-law of Mayor Lani Mercado-Revilla. He first assumed office as city mayor from 2007 to 2016. Within the city, the City Board or Sangguniang Panlungsod crafts all city ordinances, performs appropriation of city funds, issues franchises and permits, impose fees on city services, and exercise other duties and powers as stipulated by the Local Government Code of 1991. Being a first-class city in terms of income, Bacoor is entitled to a City Board composed of 12 members, six each from the city’s two board districts. 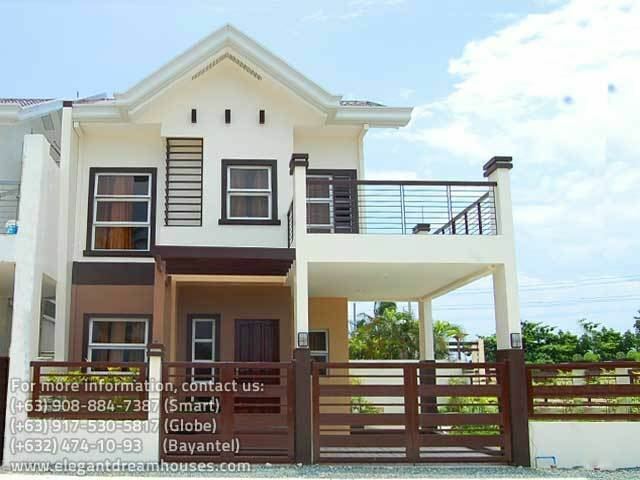 Bacoor is described as a bedroom community with most of its citizens commuting to and from Metro Manila to work. The city is the connected to Metro Manila by major thoroughfares: CAVITEX and Quirino Avenue in the north, Daang Hari and the Muntinlupa–Cavite Expressway in the south, and Marcos Alvarez Avenue in the east. It is also the terminus of the Aguinaldo Highway and Tirona Highway which connects the city to the rest of Cavite. Common forms of transportation are buses, mini-buses, public utility vans, jeepneys. Due to the congestion of Bacoor's major thoroughfares and overpopulation, the city suffers from daily heavy traffic. This hoped to be eased in the future as the city will become the terminus of the Manila Light Rail Transit System once its southern extension has been completed. The said project specifically would see the LRT-1 extended from Baclaran in Pasay City to the town of Niog in Bacoor. The project's estimated cost is P65 billion. The construction begins because the groundbreaking for the LRT Line 1 South Extension Project was held on Thursday, May 4, 2017. Bacoor is also part of the proposed Cavite-Laguna Expressway (CALAX) which will be funded through debt financing. Metro Pacific Tollways Corp. (MPTC), which will undertake the construction of CALAX, has announced it will borrow P30 billion for the project. MPTC president Rodrigo Franco "said the firm will partner with local banks for debt financing by earlier next year." To address the health concerns of the city's ageing population and urban poor population, several public and private hospitals have been established in the city. The local government also initiated a discount program for senior citizens in city wherein they can avail of discounted medical care and medicines in hospitals in and outside of Bacoor. Bacoor has one major public hospital and 7 major private hospitals aside from a number of small private clinics. As a bedroom community, Bacoor is also home to several education institutions both public and private. Currently, there are 27 public elementary schools and seven public high schools throughout the city. Students in the public school sector study under the K–12 curriculum. There are also numerous privately run elementary schools and high schools. Several private colleges offer academic as well as technical-vocational education. The city is home to two universities: the Molino campus of the University of Perpetual Help System DALTA and a campus of the Cavite State University. Ernie Baron, weather forecaster and host of Knowledge Power on ABS-CBN. Also known as "The Walking Encyclopedia." Joseph Eric Buhain, swimmer and chairman of the Games and Amusement Board of the Philippines. Serafin Cuevas, esteemed lawyer and former Associate Justice of the Supreme Court of the Philippines (1984–1986) and Secretary of Justice (1998–2000). Pedro F. Espiritu, governor of the Cavite Province, (1931–1934). Rubylita Garcia, murdered journalist for the newspapers Remate and The Pilipino Times. Leon Guinto, former mayor of the City of Manila during the Japanese occupation. Mariano Noriel, served as general under Emilio Aguinaldo's revolutionary army during the 1896 Philippine Revolution. Diether Ocampo, actor, singer, and model. Rey D. Pagtakhan, Canadian physician, professor and politician. He was a cabinet minister in the governments of Jean Chrétien and Paul Martin, and served as a member of parliament from 1988 until his defeat in the 2004 election. Manuel R. Pamaran, esteemed lawyer and former presiding justice of the Sandiganbayan from 1978 to 1986, known as "The Hanging Judge" for deciding over high-profile cases using death penalty. Strike Revilla, incumbent congressman of Bacoor; brother of former senator Ramon Revilla, Jr.
Marian Rivera, commercial model, actress, and TV host; wife of actor Dingdong Dantes. Hilarion Francisco Rubio, director of the Centro Escolar University Conservatory of Music, a full professor of the UP Conservatory of Music, founder and the first president of the Philippine Bandmasters Association. Cesar N. Sarino, former Secretary of Interior and Local Government and former General Manager of the Government Service Insurance System (GSIS). Wesley So, eighth youngest chess grandmaster in history.